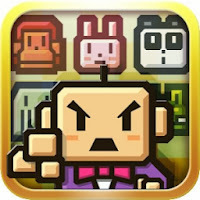 Amazon has a FREE Zookeeper DX Android App for today only! A puzzle game with simple rules - clear out panels by lining up more than three equivalent by swapping two neighboring panels. Touch and drag the animal to the direction you want to insert, and the animals switch positions. Vertically or horizontally, line up more than three same animals to catch them. Catch more than target number, and you beat the stage. Japanese classic Match 3 puzzle with cute graphics and brilliant sound!